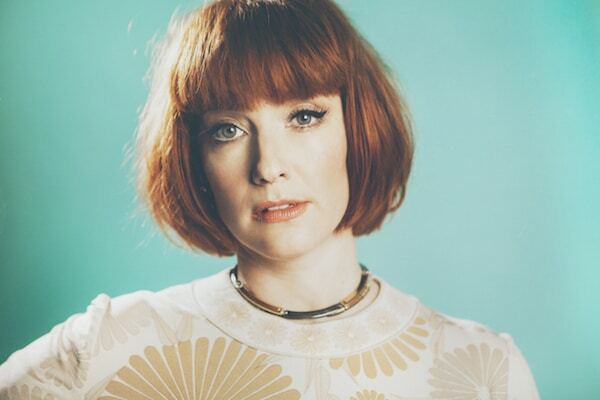 Over two decades into her career, Leigh Nash – best known as the singer of Sixpence None The Richer, the band behind “Kiss Me” – decided to take the plunge and do what she’s always wanted to do: write a country album. The result is The State I’m In, a Brendan Benson-produced country-pop-mariachi blend that blends the sounds of her home state of Texas. We chat with the newfound country writer about school talent shows, being struck by inspiration and finally having confidence. So you’ve gone in a bit of a different direction with this album. What made you decide that now was the time to make a country record? Well, it’s really more about the situation being right. There was a lot of inspiration all of a sudden. I’ve been talking about wanting to make a record like this since I was 15 years old. I think a lot of things played into me just getting around to it, but for me one of the important ones is that I’m finally ready now, now that I have the stories and inspiration to write these songs about things that I’ve lived through and didn’t just make up. You co-wrote all the songs on the album. Have you always written for your projects or is this the first time you’re taking a step into writing territory? I’ve written a lot before, but this is the first full album that I’ve written or co-written. It was a very intentional thing for this album. Because I’ve been talking about it for so long, I wanted it to be as right or as close to right as I could get it, so of course that had to do with me writing the experiences I’ve had and putting them into songs. Do you prefer co-writing or do you like to write alone? I like to write by myself until I get stuck, and then I love to co-write. On this album, more so than anything I’ve ever done, I’ve found really great co-writers. I had a really great time with the guys I wrote with. I’ve been writing since I was 14, or maybe even longer. Maybe like 12. I performed a silly little number I wrote in my 7th grade talent show. I’ve never been particularly prolific. I wouldn’t call what I do something that I do a lot. I would just write when inspiration struck me over the head, and this time, I think I had a lot of inspiration. That bird was sitting on my shoulder quite often, so these songs came pretty quickly. Do you remember what the first song you wrote was? It was called “From A Rolex To A Timex,” if you really must know. I think that’s what it was. I love Guy Clark and Leonard Cohen. Willie Nelson would have to be in my top five as well. Dolly Parton would be on that list for sure. A lot of times I’ll have a piece of it that will come to me without an instrument, like if I’m driving or something. It might be lyrical or it might be a melody. Then as soon as I can get to a guitar I’ll sit down and get as far as I can with it. Then I get to choose from these new songwriters that put up with me and we’ll get together and finish it. If you could co-write with anyone, living or dead, who would you choose? I don’t think Leonard Cohen really co-writes, but if he did, that would be my choice. Or Willie Nelson. I think those two guys are great. What do you think is the most perfect song ever written? “God Only Knows” by the Beach Boys. I think the melody and the lyric together are completely perfect. They fit like a hand in a glove. It’s immaculate. I don’t know how else to describe it. The feeling I get when I listen to that song… every time, too. It stops me in my tracks and I have to listen in detail because it’s so awesome. I was talking about that song with one of the guys I write with one morning and we ended up writing one of the songs on the album as a tip of the hat to that song. It’s called “What’s Behind Me” and it’s kind of a tribute to “God Only Knows”. What do you think is the most important thing you’ve learned about songwriting over the course of your career? I think it’s that I’m good at it. That’s been the hardest lesson. Not having confidence is the thing that’s held me back the most. I’ve learned to keep trying and be brave. I started so young in Sixpence, and Matt, my partner in the band, is such a tremendous songwriter, so I always deferred to him and didn’t really stretch my wings as much as I should have, but I’m kinda coming around to it now.